From the Nutcracker Suite by Tchaikovsky, here’s the first line on alto sax. Also recorded it on tenor. One thing that might be slightly unfamiliar is the B#, it is played and sounds like a C. Notes that are uncommon like that come up in notation to keep things clean. The reason it’s not written as a C natural is because there are C#’s in the same measure and it would look a little unconventional to see C natural and C# in the same measure. I just started playing alto sax last year for school. And with your help I’ve become pretty great at playing! 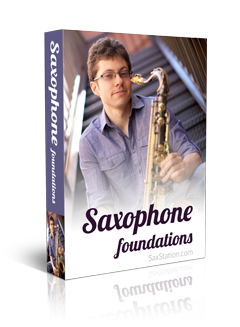 It’s hard to find a good site that helps you with the sax so this site is great!